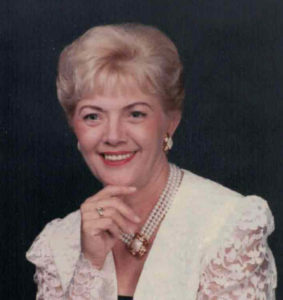 Emma Louise Walker, 77 of Henderson, KY, died Sunday, January 13, 2019 at St. Anthony Hospice Lucy Smith King Care Center. She was born March 16, 1941 in Evansville, IN, the daughter of the late William and Margaret Jutzi, the wife of the late Samuel Walker. Emma is survived by her children, DeLisa (Mark) Hollis of Mesa, AZ, Jerome (Ruby) Martin of Henderson, KY, Jason (Christine) Martin of Henderson, KY, and Timothy Walker of Henderson, KY; six grandchildren; two great grandchildren; brother, Edward Jutzi of Evansville, IN; two sisters, Margaret (Paul) Hutts of Evansville, IN and Billie Jo (Jerald) Goldsmith of Leesburg, FL; one aunt, Charlotte Day; and several nieces and nephews. She was one of Jehovah’s Witnesses and enjoyed her years of full time preaching and sharing the Bible truths with others. Some of her happiest memories were vacationing by the ocean in the warmth of the sun. Another highlight was painting and collecting elephant figurines from all over the world. After graduating from Central High School in 1959, she attended Deaconess School of Nursing. Emma received her degree in 1966 and then worked at Welborn Hospital in Evansville as a surgical nurse. Emma was loved by many and will be greatly missed.